Yep, this was written in 2013. Things might have changed. Facebooks regular like and share buttons works well, but sometimes you want to make it easier for your users to share something more specific or dynamic to their timeline. Maybe a customized message and an image that the users selects or generates themselves. Nothing new under the sun, the Feed Dialog has been around quite sometime. But the old sharer.php is still used frequently, but is has some limitations. This post is focused around non-logged in shares. When you’re logged in you can use other api-calls through the Graph API. You can create your own links or custom buttons using parameters to sharer.php, this is has been possible for ages. Even if you use the Open Graph-tas tags correctly, you’re still limited in some ways. Yes, you can generate different content dynamically server side, but it might not solve your needs. 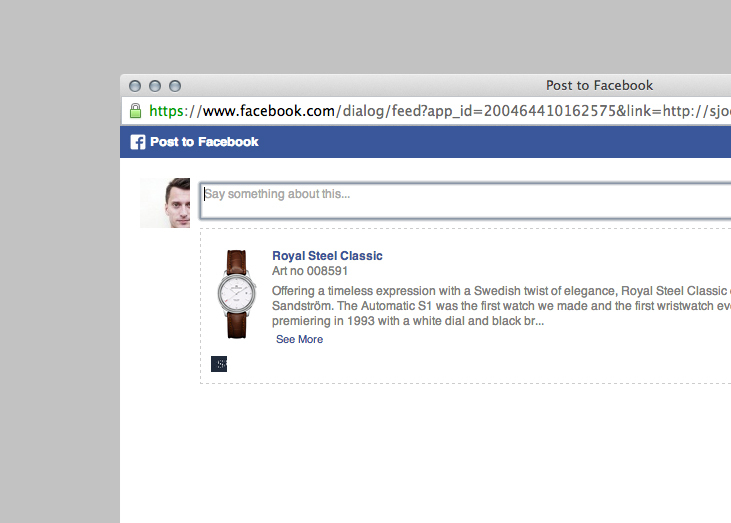 If you just use sharer.php you have to settle with the standard text “Has shared a link” next to your shared post. You can yse multiple og tags for images, but the number of images is limited to 3. So it doesn’t matter if you provide more tags. 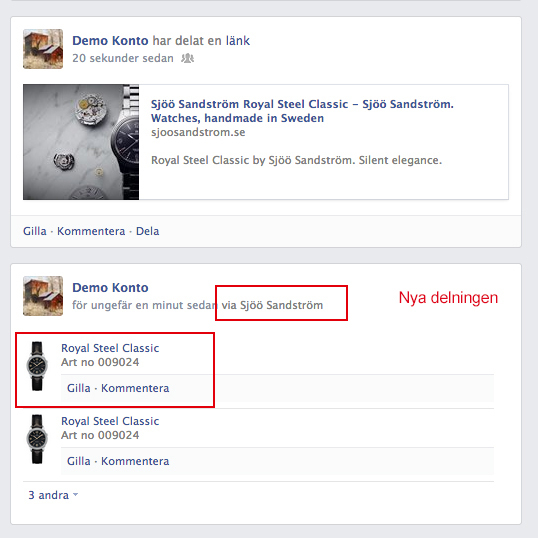 För att jobba med Feed dialog behöver du en Facebook App. 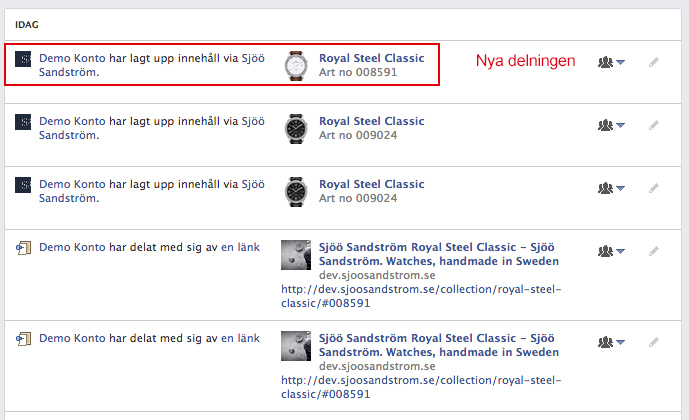 Om du mot förmodan inte redan har en app, så skapa en på Facebook Developers. Antecka ditt app-id. Under Feed Dialog - Params you will the correct parameters. After the content has been shared to the users timeline, you will be redirected back to a specified link. This can be a simple html page that closes itself and redirect the user back to the page, or another url in the scope for the FB app. Your shared content now looks better than ever. This is also more clear and professional. You can also upload a app icon that shows next to the shares. 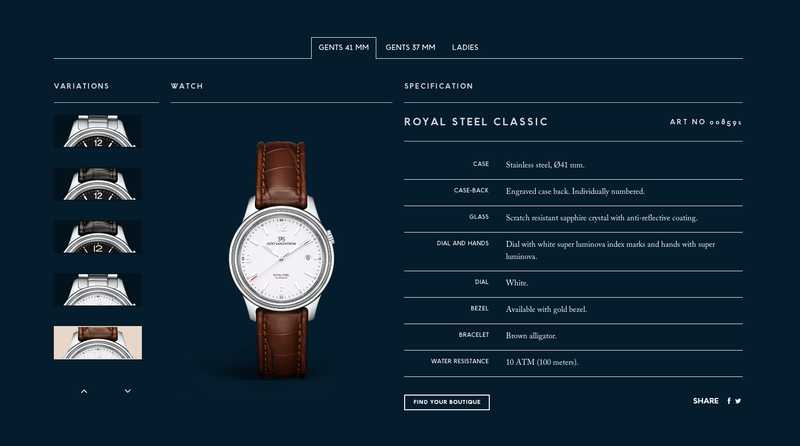 Here is some examples from the Sjöö Sandström website. A website i made while working at Grand Public. 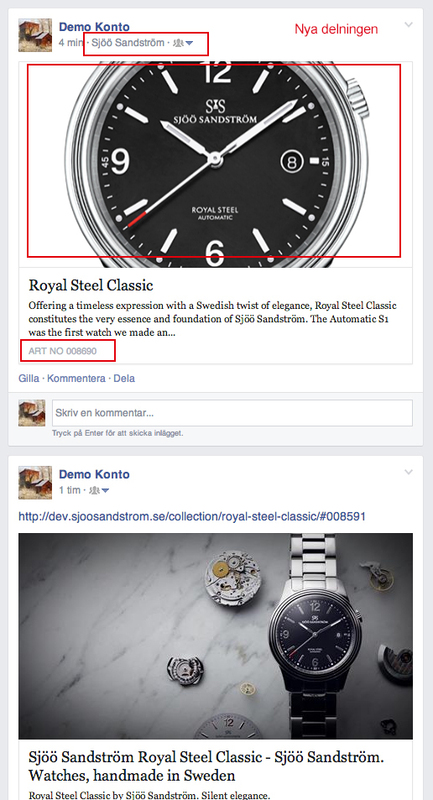 Here you can share watches by using the Facebook icon to the lower right.